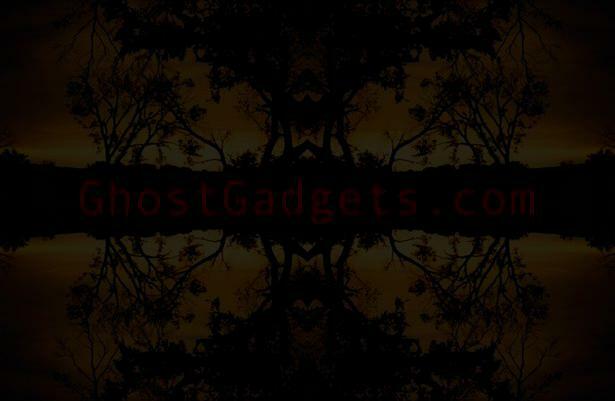 Orbs are a very controversial item in the paranormal investigation field. The hard fact is that most, if not all, "orbs" are caused by water droplets, dust, snow, rain, etc.. A common misconception about dust orbs is that it is dust actually in the camera or on the lens. This isn't true, in fact, dust orbs are caused by air-born dust particles directly in front of the camera lens. Below is an in-depth article on photographic/video analysis and contamination factors that cause false-positive orbs. Please note that the following applies for any camera with a flash (35mm & digital), and all nightshot video cameras. Point "A" represents the camera lens's inverted focal point (the point that an object must be past to be in-focus), and "B" represents the way light travels into the lens. The dust particles that are closer than point "A" will be out-of-focus, and appear as false-positive dust orbs. Point "P" represents the distance the dust particles are away from the camera lens, and "A" again represents the camera lens's inverted focal point (the point that an object must be past to be in-focus). This diagram shows how dust particles become out of focus as they get closer to the camera lens. Diagram 1, on the left, is a representation of how dust in front of the camera lens appears orb-like when a flash is used. "B" represents how light travels through the camera lens, and "A" represents the focal point of the lens, or the point objects need to be past in order to be in focus. As you can see, there are dust particles closer to the lens than point A, therefore the dust will appear out-of-focus, as seen in Diagram 2. When the flash fires (Diagram 1), light is reflected off the dust, back into the camera lens, causing the dust to be illuminated. Because of the angle of the flash and the camera lens, the closer the flash is to the lens, the more prone it will be to dust orbs. The same applies for using nightshot video cameras, the IR light reflects off the out-of-focus dust, causing them to look like "orbs" or plasmoids. I want to emphasize the fact that orb-causing dust is floating in the air in front of the camera lens, and is not actually on the lens itself. It seems that many people think that wiping their lens clean before each photo session will solve the dust-orb problem, but this is entirely false. The truth is the dust is in the air, floating close to the camera lens (within about 6 inches normally), and there is no way to solve the problem through lens or site cleaning. Some common characteristics of dust orbs in photographs may be showing some sort of nucleus, elongation around the central axis towards the edges of the photos, a rectangular or octagonal shape, but is not limited to these. Elongation around the central axis towards the edge of the photo is caused by a lens curvature error known as "Coma", cameras with very small lenses and short focal lengths (such as digital cameras) are more prone to coma than other cameras with longer focal length lenses, such as SLR cameras. Orbs of a rectangular or octagonal shape are caused because of a phenomena that can be defined as "When an object with a similar shape as the aperture of the camera lens is brought out-of-focus, the object will begin to take the shape of the aperture". In other words, if the aperture of the camera is an octagon (the aperture is the hole that opens to let light through the lens), an out-of-focus dust orb will begin to take the shape of an octagon, particularly towards the center of the image. Another common phenomena that is often mistaken for something paranormal is called lens "Flare", and occurs when a bright light source (most often the Sun) reflects off a portion of the lens, and creates "ghost" images (not really ghosts, but internal reflections) of the aperture of the camera. Generally, flare can be ruled out of most photos taken at night, but can be a problem with shooting pictures during the day. There is nothing paranormal about the dust orb phenomena, it is natural to any camera with a flash and any video with a light source that isn't in front of the camera (ie, infrared light, spotlights). It seems that many groups still consider dust orb photos to be paranormal, because they don't want to take the time to collect REAL anomalous data. What keeps these groups holding on to the dust orb as phenomena is the instant gratification they get by collecting hundreds of so-called "spirit orbs" in a single night of investigating. The truth is no matter what the environment, there are always air-born particles in the air (except in a vacuum...) that can contaminate your data. You can sometimes even see the flash reflect off the dust particles when a picture is taken. Also, this phenomena isn't just limited to dust, it also applies to rain, water droplets, bugs, etc. On the next page, you'll find examples of contaminants in photographs and video. Then after that, you'll learn about the OKCPRG's revolutionary device that will reduce dust contamination by ~99% in video: DEVA (Dust Eliminating Video Apparatus).